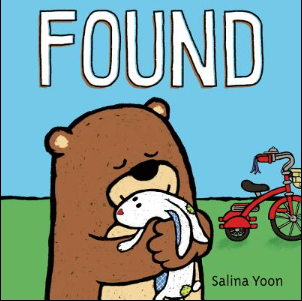 How We Discovered This Book: This was in the new books bin at our library, and I immediately loved the illustrations. My son thinks it was created in oil pastels. This is a book of few words, with a simple but important premise. What do you do when you find an adorable stuffed bunny in the forest? This book is so sweet. You think you know how this book will turn out, but it takes a little twist at the end. The illustrations perfectly express the sweetness of the story. A bulletin board of lost notices plays prominently in middle of the story. It is full of tongue-in-cheek references, as well as jokes from other stories and fairy tales. I thought some might be over my kids’ heads, but they got most of them, and giggled like crazy. There is something to be said for books that don’t talk down to kids. Have your kids/students make their own lost sign for something they have lost – the more creative the better! Brainstorm with your kids or students on what would be the best thing to find. And then what would they do with it? Play? Share it? Give it to someone else? According to the Farmer’s Almanac, fall begins in the Northeast with the autumnal equinox on September 22nd at 10:29 PM EST. So we technically have one last weekend of the summer. The weather has already started turning cooler and the kids are back in school, but we can still claim a summer state of mind. I know it’s hard – I find myself barraged on a daily basis with Halloween candy, Christmas layaway programs, and pumpkin spice lattes. I love the holidays more than a lot of people (my dad calls me a Christmas Nut), but this year I am resisting the push. Getting caught up in the mad rush just leaves me harried and exhausted on January 2nd, wondering what just happened. I have decided no fall decorations until October – that leaves 2 full months to fully enjoy the season. It also means that any mums I eventually buy won’t have to try and hold on for an extended period of time. While I will still slowly work on all of the Christmas projects that I began over the summer (in an attempt not to be stressed in December), I will wait to fully embrace Christmas until Black Friday. I am hoping this holding back approach will translate to other areas – a calmer approach to fall house cleaning and more time spent outdoors enjoying the crisp air. I’m also looking forward to its effect on my writing. I have so much that I want to accomplish – new novels to write, other work to revise, blog posts to write, contests to enter, and agents to get. Because I never have as much time as I would like, I sometimes feel paralyzed with what to do in the limited time that I have. So I will take it one item at a time. This week I’m going to tackle the planning for my novel, and spend time with my son this weekend writing a picture book story we’ve been talking about. 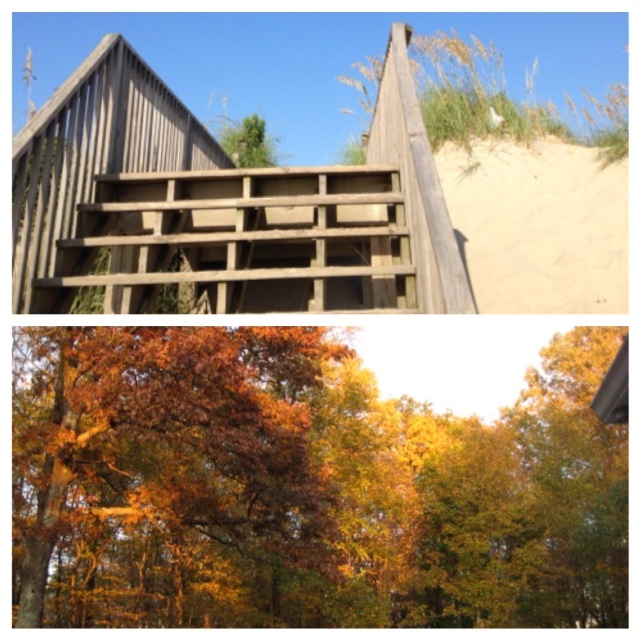 Maybe we’ll write it outside – and take lots to deep breaths to remind ourselves of what we loved about summer, and then open our hearts to autumn. World building is no small task, and S.E. Grove raises the bar exponentially in her debut book, The Glass Sentence. The story follows thirteen-year-old Sophia Tims as she rushes to save her kidnapped uncle, Shadrack Elli, a renowned cartographer. But Sophia isn’t simply riding trains and sailing ships through a familiar world. Years prior, the Great Disruption altered time, leaving each continent in a different age, some countries a mixture of various eras in human history. And hot on Sophia’s tail are the very people who abducted her uncle! Overall, I enjoyed The Glass Sentence. I cared about Sophia, a spunky, precocious, but ultimately lonely girl who barely blinks at the tasks ahead of her. Each chapter provided an unexpected twist, making it very difficult (for me anyway) to predict where the action of the story would take Sophia. This book required patience to read (and to write, I’m sure! ), but I did find that each time I had a question about how the world worked or why a new character was introduced, Grove provided an answer or at least the suggestion of one. There were a lot of characters–at every turn Sophia ran into a new person, it seemed–and at times I wondered if there were too many to flesh each one out adequately. That said, as the story develops, each character fell into place. I had many “aha!” moments (and I did say them aloud) during the second half of the book, and I’m glad I didn’t put it down. This story is definitely one to stick with. I recommend this book to anyone who loves new worlds with unexpected rules and lots of plot twists and characters. There’s a few scary people (the men with grappling hooks on the cover were creepy to me), and a few moments of very age-appropriate romance. I learned about this book from Indie Bound’s Indie Next List newsletter. I get the newsletters at my local independent bookstore, and find it them a great resource for new books. To check out their summer recommendations for kid lit (the fall link wasn’t available), find them here. And here’s my plug for independent book sellers. I picked up my copy this summer at Powell’s City of Books, one of the largest independent new and used bookstores in the world. If you’re in Portland, Oregon, visiting Powell’s is a must! I never leave without a sizable stack of books. To buy The Glass Sentence from Powell’s (they ship), click here. 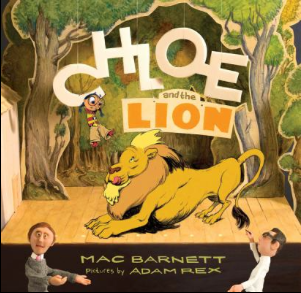 The author and illustrator attempt to tell a story about Chloe and how she meets a lion, but they have a falling out. The author fires the illustrator, and tries to replace him with others, but no one knows how to draw the lion (or save the story) quite like the illustrator. Chloe herself has to intervene to get the pair back together. This is a unique book that really smashes the fourth wall. The author and illustrator talk directly to the reader from the beginning and throughout. The main character has to get involved to drive the story to its conclusion. Interestingly, the main “story” within the story is somewhat incidental. Aidan liked how the author kept doing things that just made the situation worse. Not only were the author’s actions funny, but the dialogue was sharp and witty at a child’s level. The illustrations change along with the action, which just adds to the humor. Elizabeth thought it was funniest when the author tried to illustrate the book himself, and failed miserably. Check out the book trailer on YouTube – it gives you a flavor of the dynamics between the author and illustrator. Now make your own book trailer: Take a favorite book, write down what you like most about it and a short summary, and get to filming! Use of humor, props, or reenactments get you extra bonus points. Get out some clay or play dough and make soft versions of yourself – or even better, versions of your friends and family!